Why are we featuring such a bland looking, “stock” car, you might be asking. Remember the saying “don’t judge a book by its cover”? 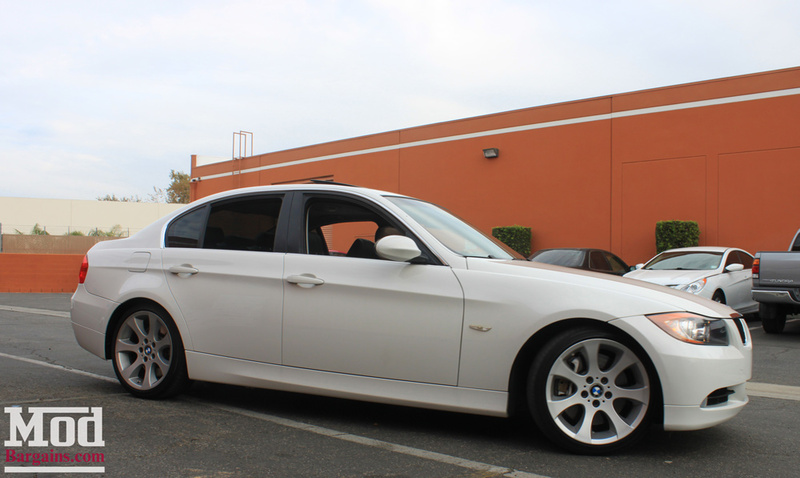 Looks can be deceiving, because behind that unassuming, debadged white exterior, stock wheels, stock exhaust and stock ride height, hides a much beefier N54 than stock. 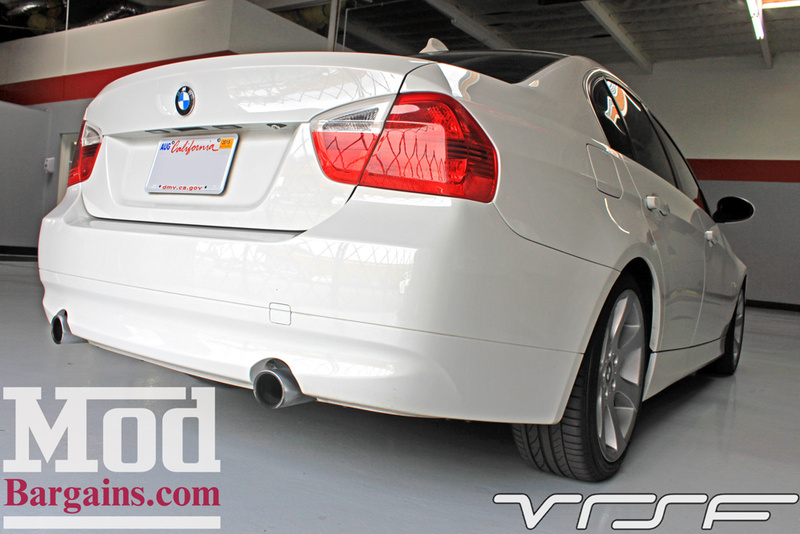 We met Matt T a while back when we installed his Mishimoto Front Mount Intercooler and subsequently performed a Walnut Media Blasting Service for BMW N54 Engines here at our shop, and today he came back to show off his latest round of handiwork after debadging the car. We took the opportunity to get a few detailed photos of Matt’s decidedly stealthy build. 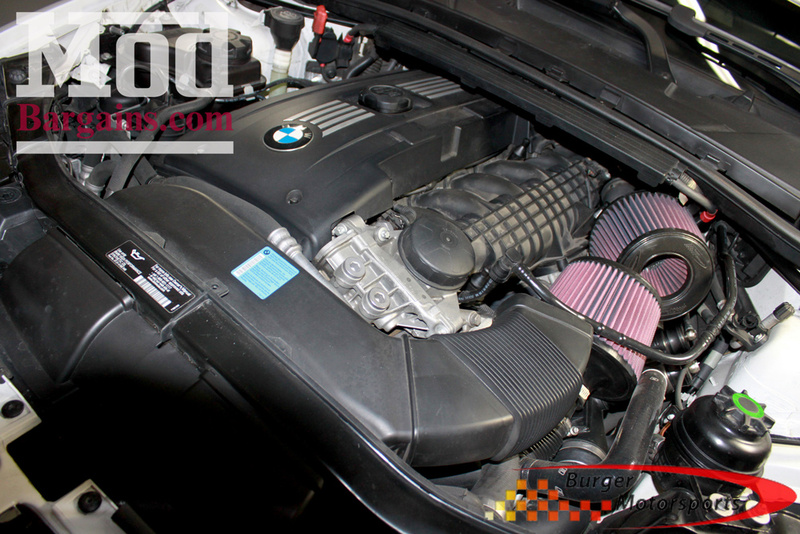 In this shot here you can see the Berger Motorsports Dual Cone Intake for N54 (no longer sold here in California) and a pair of Turbosmart Plumb-Back Diverter Valves/BOVs for N54. 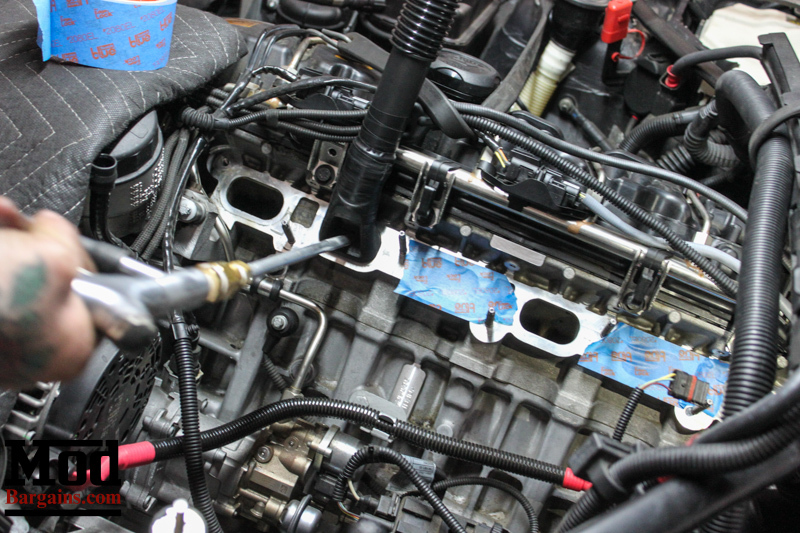 The OEM diverter valves on the N54 leak like crazy, meaning even before any power mods have come into play it makes an extra +29wtq in 1st and 2nd gears over any other stock N54, and the BMS DCI Intake for N54 is good for at around another 15whp, and it’s one of the more cost-effective mods, though if we’re honest, yes, this style of intake is more prone to hot intake air temperatures than a sealed airbox, but it’s still quite effective. 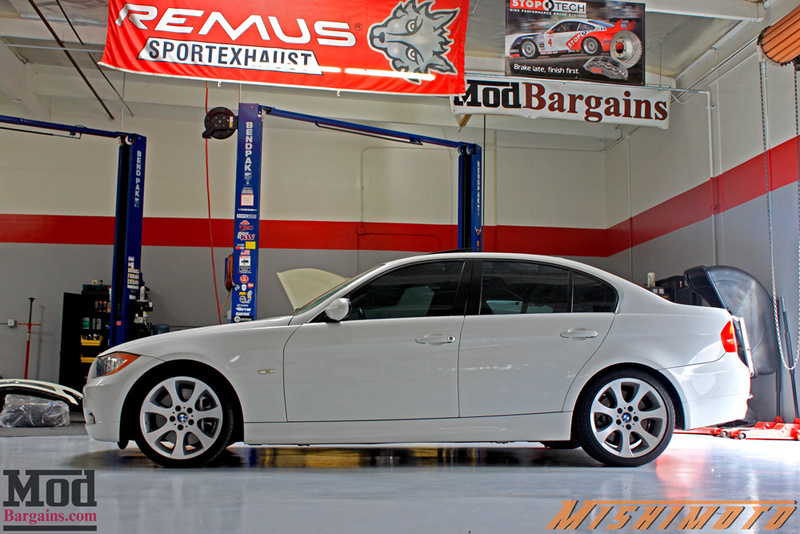 In addition to the DCI and Turbosmart Plumb-Back BOVs under the hood, this 335i also sports a BMS JB4 Tuner for N54 – regrettably also no longer available in Cali, Matt T somehow was able to get a hold of one and installed it himself – which actually surprised us, as JB4s in California are about as hard to come by as a 1pt jar of unicorn tears. While the Cobb AccessPORT is a great choice with no hardware change, the JB4 unquestionably offers more features and functionality for the power user who knows how to use it to the fullest, including map switching – while Ford AP owners enjoy this feature, the BMW AccessPORTs do not support on-the-fly map changes as of press time. 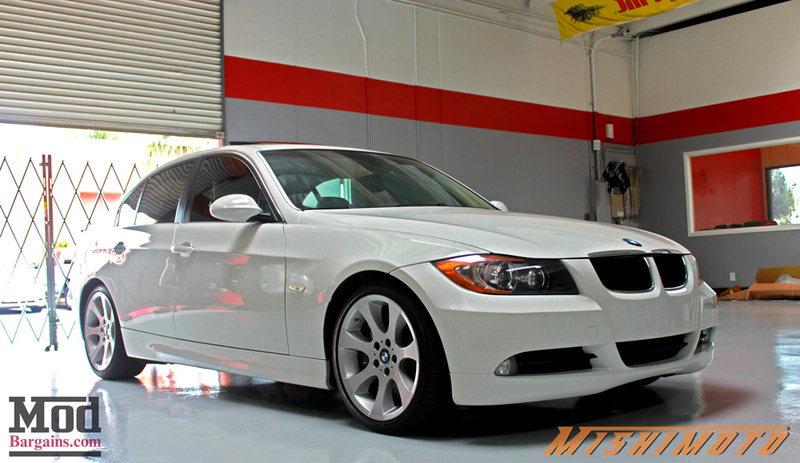 The Intercooler is a critical mod for every single BMW 335i – the OEM intercooler is undersized and if you want more power out of the car, the intercooler is one of the key components that allows you to step up to more aggressive mapping. 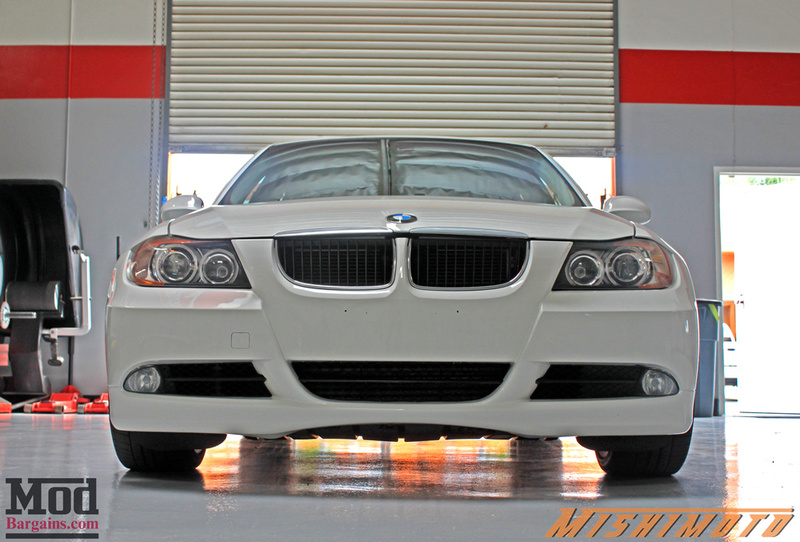 Matt T went with a Mishimoto Front Mount Intercooler, which we mentioned a few weeks back in another feature. Deceptively heavy, this dense core Mishimoto FMIC for BMW 335i offers some of the best cooling capacity for the E90/E92 platform, offering 35*f reductions in air charge temperatures and right out of the box yields a 20whp increase, and will be a huge supporting player in concert with your other modifications. 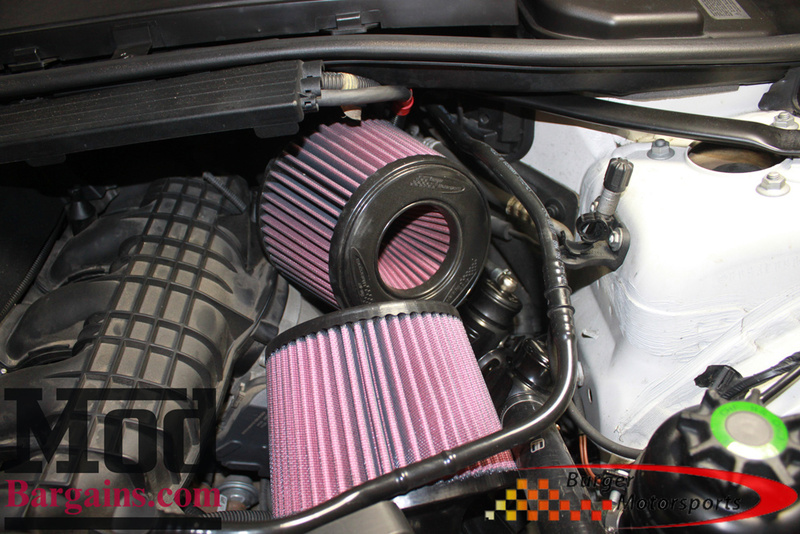 We’ve said it before and we’ll say it again – don’t be scared away from upgrading your intercooler because upgrading your intercooler is one of the most important upgrades to make for virtually every factory turbocharged car. 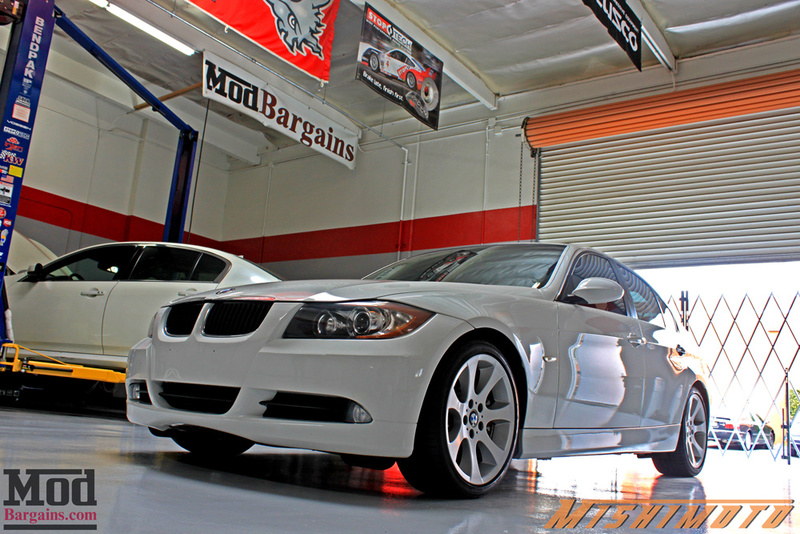 This is how the FMIC out of Matt’s car looked when we pulled it out and installed the Mishimoto FMIC (in the background of this shot) – and you can see why it made such a big difference when we did the Walnut Blasting Service for BMW on Matt’s 335i. Matt’s 335i had a huge amount of oil in the intercooler and chargepipe system when it came in- as you might expect of a used car with an unknown service history, and having seen the benefits of Walnut Blasting on Mod Expert Alan Wei’s car and numerous 335i’s since, Mod Expert Elliott recommended that Matt get the BMW Walnut Blasting service done sooner than later as it’d make a big difference in power -not to mention that Cobb and BMS recommend you have it done before dyno tuning your car. 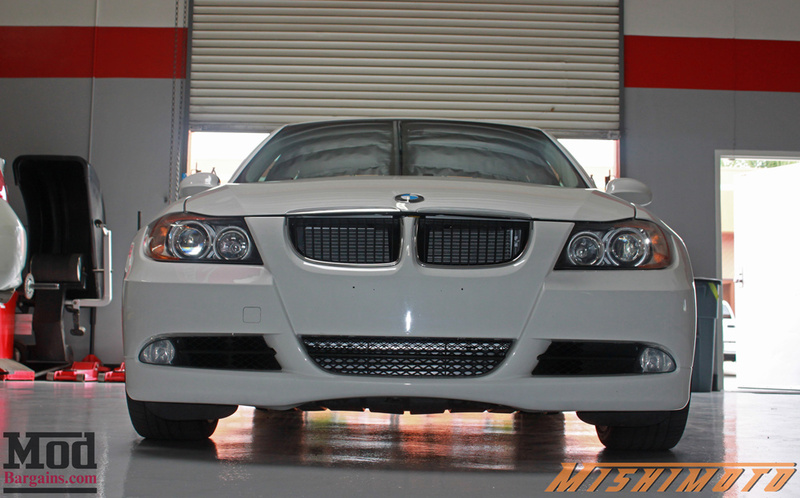 It’s only with a flash that the Mishimoto FMIC just starts to peek through from behind the grille. 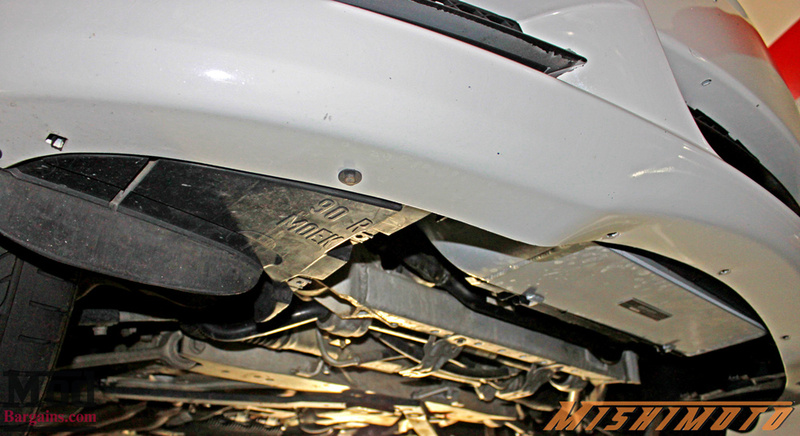 The fact that Matt has retained the stock exhaust makes the build all that much sneakier, the kind of dirty OEM tips are an excellent touch and do a great job of concealing the power hiding behind the “bland” facade. 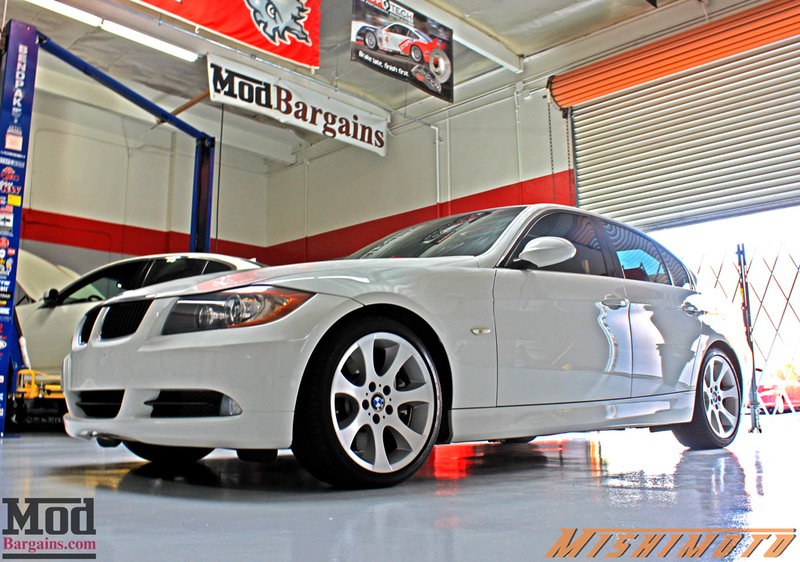 We hope you enjoyed the photos and scoping out Matt’s Modded BMW 335i Sleeper build. Solowerks: The Best Bang for your Buck Coilovers!